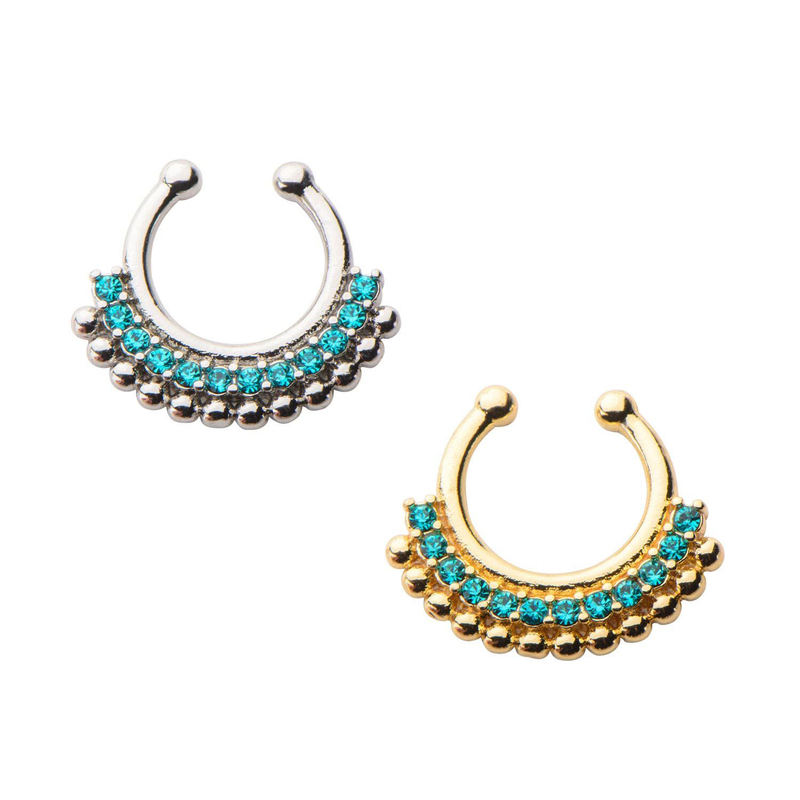 Faux Septum Jewelry with Single Row of Blue Zircon CZ and Beaded Accent. Not for Long Term Wear. Sold Individually.